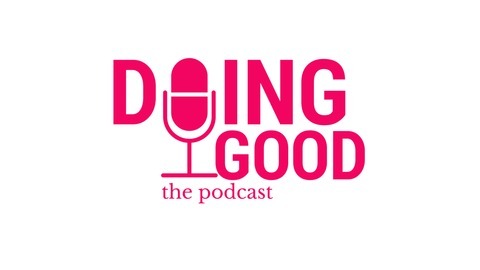 The Doing Good Podcast is your guide to doing good, whether you’re a seasoned do-gooder or just starting out on your journey. Each episode we dive into different social challenges, interviewing leading experts and change makers driving results on-the-ground to expose the issues and deconstruct how to make REAL impact. 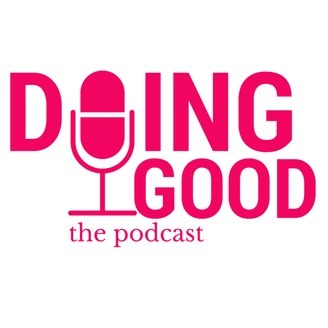 In this episode we chat with Tharani Jegatheeswaran who leads Deloitte Australia’s Social Impact Consulting Practise. So, if you’ve been listening for a while, you know that I am super passionate about business and impact, in particular seeing the two come together in ways that just make sense. Both for the business in terms of focusing on the core competencies of the business and leveraging that for impact. This is something that is really hard to balance and can often miss the mark with large corporations either taking part in activities that are so far removed from their strengths or it looking like the act of trying to create impact is just for marketing or publicity purposes. So, when I stumbled upon Deloitte and their social impact consulting practice I was extremely intrigued. Why does a Big Four accounting firm like Deloitte do social impact consulting? Is this for CSR purposes? is this for publicity because being involved in impact is ‘cool’? Are there business reasons behind this decision and if so, what were they? Do they charge clients for the consulting they do or is this pro bono? Tharani leads Deloitte Australia’s Social Impact Consulting practice, a dedicated practice that works at the intersection of the not-for-profit (NFP) sector, government and business to deliver better outcomes for Australia’s vulnerable communities. Recognising that complex social issues cannot be addressed by any sector in isolation, Deloitte’s Social Impact Consulting practice focuses on being a convenor - facilitating greater cross-sectoral collaboration across the NFP, government and business sectors to design solutions that deliver systemic change and greater social impact. Anyway let’s hear more about Deloitte’s work in this area and let Tharani take it from here. And if you like this episode or know someone that will, please give it a share. Find Tharani on LinkedIn or Twitter and check out Deloitte social impact consulting website. WHAT WAS YOUR FAVOURITE QUOTE OR LESSON FROM THIS EPISODE? LET ME KNOW IN THE COMMENTS!